The first manifestation of Wordplay is complete. Also titled Face of the City, the art piece is a collection of faces from around the city. To date approximately 1500 people have been recorded as a part of the project. 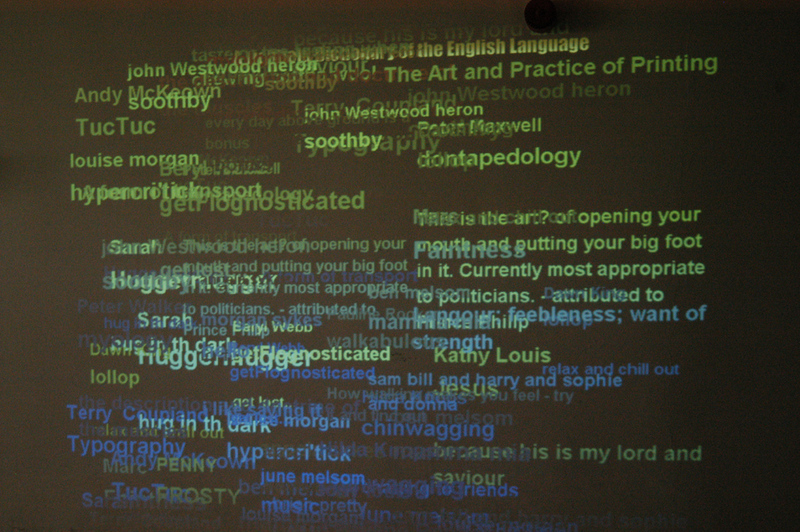 Wordplay will feature as one aspect of the September Son et Lumiere at The Samuel Johnson Birthplace Museum. To accompany the face recordings, people have also contributed audio recordings, with approximately 4000 word being recorded in numerous voices, the words being those from Johnsons Dictionary. This brings to life the language of Johnsons age with voices from the city in which Johnson himself grew up. This is the third design for the 26 public art poster campaign which is to form an ever changing external exhibition around the city soon. The first three designs will be seen in the city in the next few weeks, with additional posters appearing thereafter. 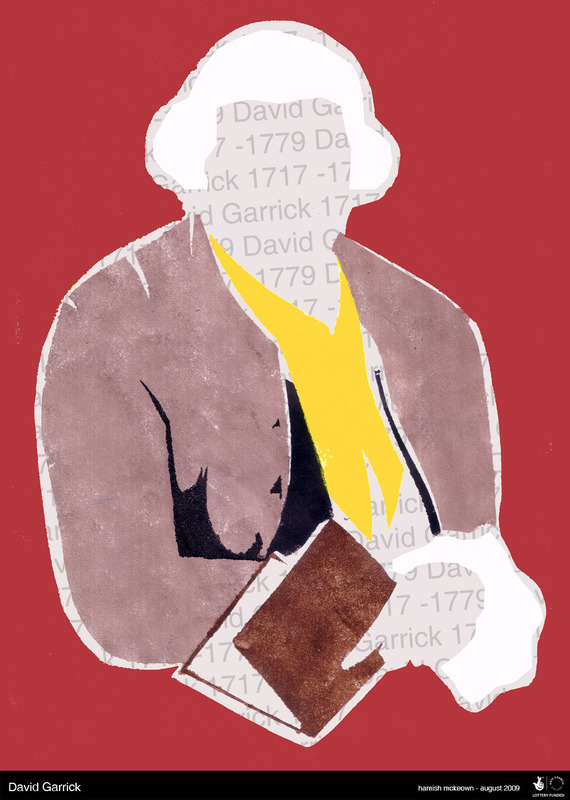 The third design, produced by young artist Hamish Mckeown is a striking interpretation of David Garrick, former resident of Lichfield and friend of Samuel Johnson. One of the most famous actors of all time, Garrick walked with Johnson to London on his famous trip to seek opportunites to expand his literary career. Garricks arrival in Lichfield heralded much success. Hamish's depiction alludes to a combination f both traditional woodcut and street art, even to the manner in which Banksy interprets form. On Tuesday 1st September David Harper visited the Birthplace Museum for the final recording session for the September event. The day was arranged to record poems, letters and extracts from Johnsons work which are to form layers of content for the light and sound performance. Thanks to Jane Gentles, David Titley, Ken Knowles and Stuart Goodwin who all volunteered to help woth the recordings. Ken took on the role of Johnson for a specific section of the dialogue and Stuart kindly agreed to read the narration of Johnsons life which will form part of the contextual elements of the production. The script was produced collaboratively between Peter Walker with assistance and dramatic input from Lichfield playright David Titley, who has also been of great support and a great source of information throughout the project. On the 15th August artists for the Son et Lumiere ran a light test for the September event. The above shot shows the test for the Wordplay section of the event. Saturday August 15th saw the second and final summer open day for involvement in the Son et Lumiere event. Held at the Guildroom in the city centre the day saw the project artists on hand to discuss the project and offer opportunities to become involved in the artwork production. 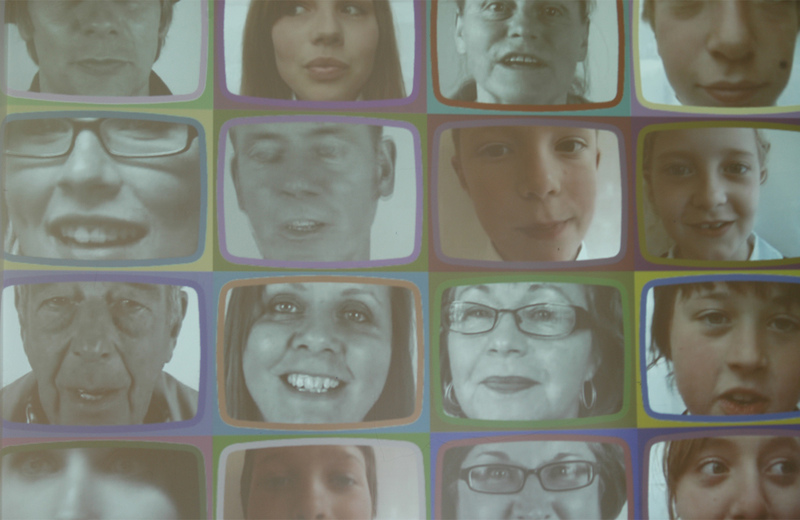 125 people attended on the day, joining in adding their faces to the Wordplay Project, alongside helping in the production of the interactive artwork which will feature on the Market Street facade of the Johnson Birthplace Museum. The event also saw Louise Morgan, a young artist from Lichfield taking the opportunity to join the artists and become part of the team for the production of the event. Saturday also saw the final light test for the September Event, with passers by treated to a sneak preview of the visuals for the event. 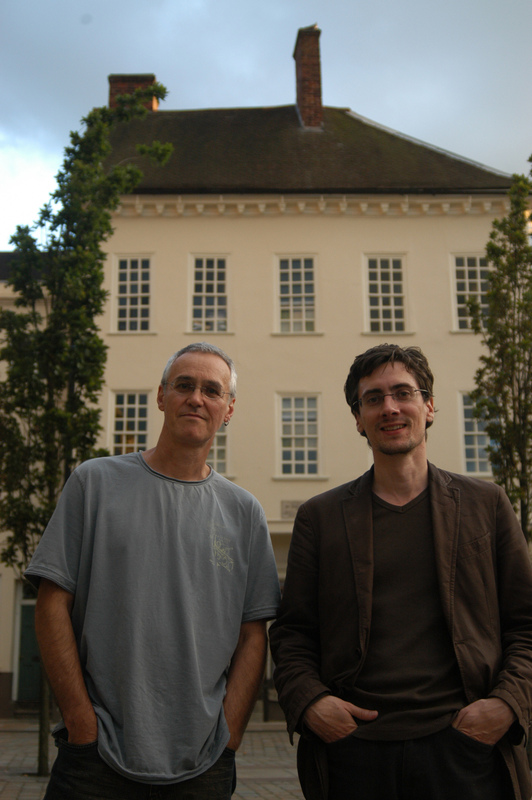 Artist Andy Mckeown and Composer David Harper outside the Samuel Johnson Birthplace Museum, the backdrop for the Son et Lumiere in September. 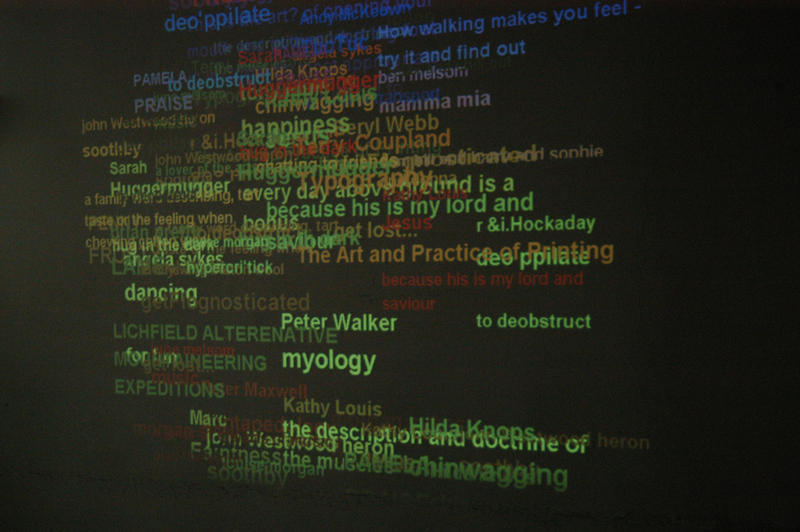 Sample view of the interactive artwork which will feature during the Son et Lumiere event on the 18&19th of September.